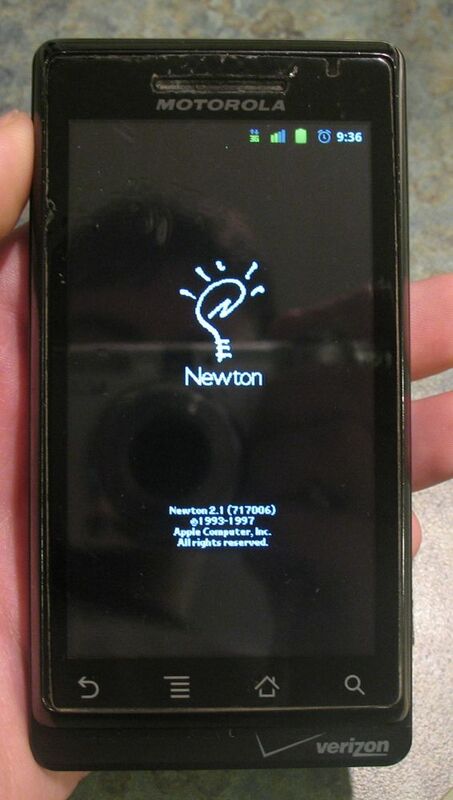 As an active Apple Newton user, I love it when fellow users continue finding ways to improve the platform. This week Matthias Melcher deserves a huge “Great Job” from everyone. 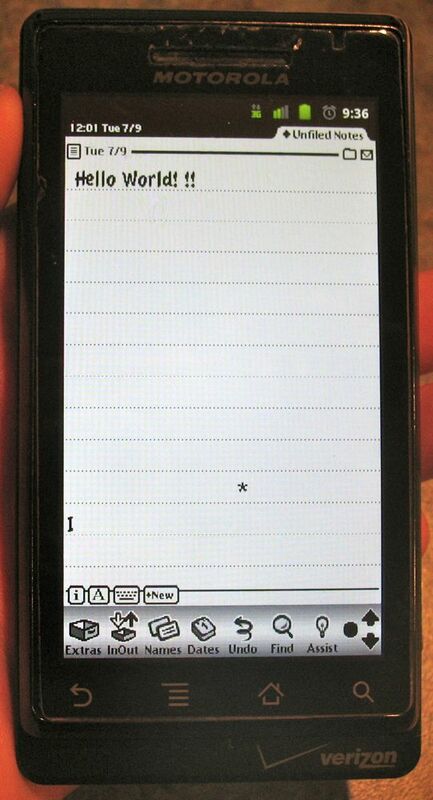 Matthias is the current maintainer of Einstein, the Newton Message Pad emulator. This week he released an updated version of the Android version of the emulator that included many improvements that increased the speed considerably. After using the new release on both my Galaxy Nexus and a Nexus 7 I have to agree with the claims. The emulator is feels like it is running at about 90% the speed of my Newton 2000u. the Screen reaction seems to be a little slower than the real thing but given time can only improve. I could see an Android tablet with Einstein replacing my beloved green machine one day. There are still some things to fix in Einstein. Sound doesn’t work, there is no way to set data in or out, and the app menu needs to fix for 4.0+ devices. Regardless, I think we are closer to realizing Paul Guyot’s original idea for Einstein. If you would like to run Einstein on your Android device, please check out My previous post here. 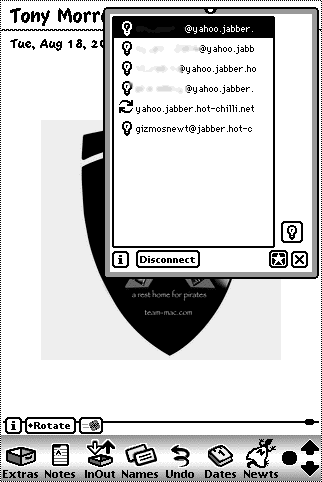 By some miracle I managed to get the greatest PDA of all time, the Apple Newton, to connect to the largest social network in the world, Facebook. For all of those interested here are the instructions. 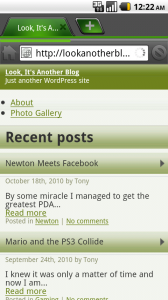 Disclaimer: The Newton does not support SSL or https. Basically this means that anything you type into the website (including your password) is sent as plain text over the Internet. Do this at your own risk. It will take about 1 to 2 minutes for the page to completely load but once done you will be able to see your news feed. Have fun. PS. 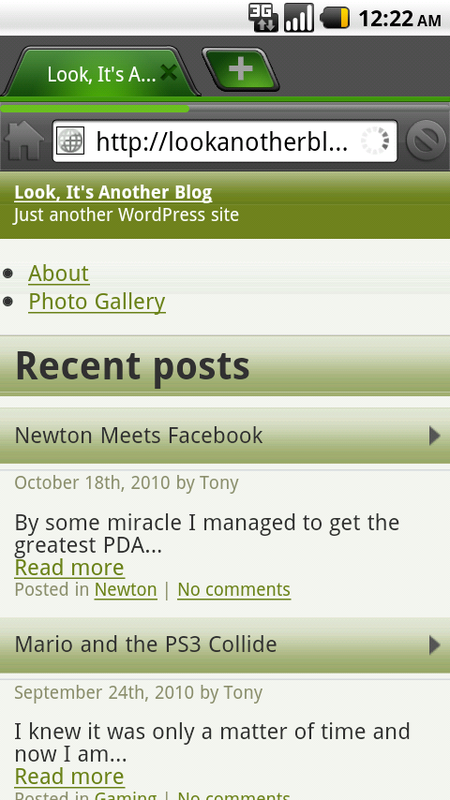 If I could get NCX to take a screenshot then I would show you how great the site looks in green. 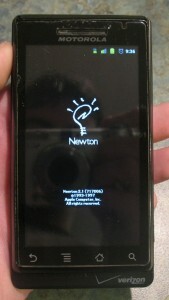 Posted from my Newton 2100. Update: You may be wondering why you can’t connect to Facebook’s website directly from the Newton. Good question. I don’t have a good explanation as to why. I experienced issues when trying to connect through http://m.facebook.com/login.php?http. Both Net Hopper and Newtscape would load the page, but logging in fails. Of course, Courier cannot login because it doesn’t support forms. I haven’t tried Lunasuite. The solution I came with for logging into Facebook was to use a website that could transcode the pages into more basic HTML. In the past I used Google’s GWT page combined with Net Hopper to view pages but about a year ago things changed. Google changed how GWT worked and since then I have not been able to get it to work on the Newton. After searching the web for mobile browser transcoders I learned about skweezer.com. 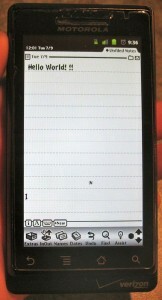 Using its online transcoder I was able to login to Facebook using the Newton. Sure, loading pages is really slow, but it works. I consider that a success.